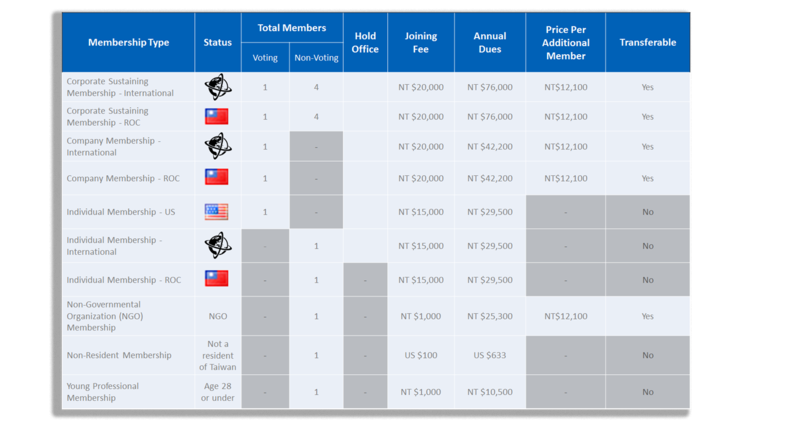 AmCham Taipei Membership categories are designed to fit a wide range of needs and requirements. Whether you belong to a multinational corporation and are looking to take advantage of AmCham’s powerful advocacy platform, a small company aiming to promote your business, or you are simply an individual seeking great networking opportunities, we have a package designed for you. Our currently available membership types are listed below. Become a member to enjoy all the rewards and benefits! All new members are subject to a joining fee.